This year’s Heartbleed security scare highlighted the importance of creating strong, unique passwords across the Internet. But too many of us are guilty of using codes like “abc123” to secure private information. A new survey from password management company Dashlane reveals that many popular websites still have lax password requirements. 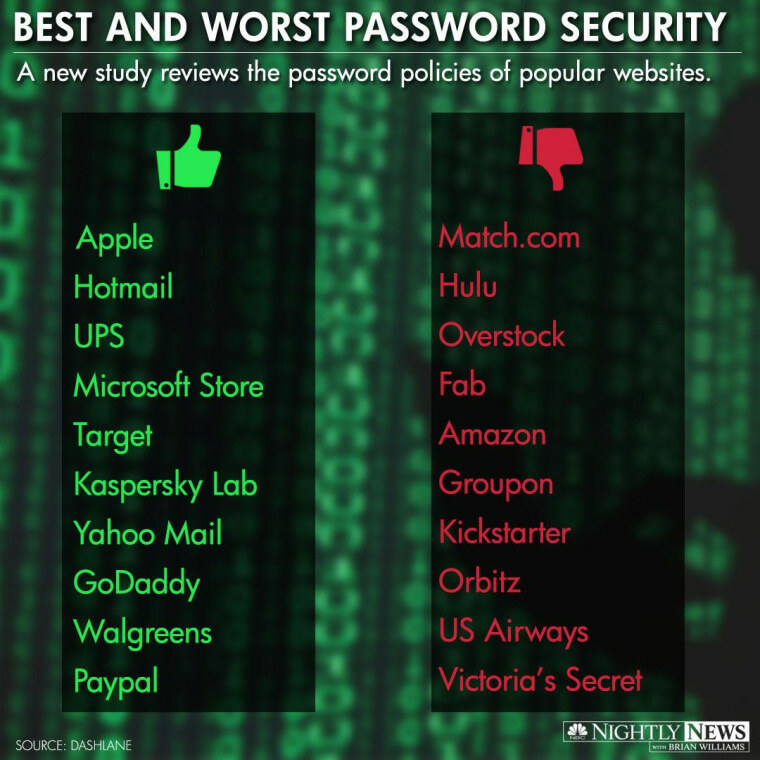 According to the study -- which used 22 password criteria to judge more than 80 top websites -- more than 86 percent had “subpar” policies and scored below 50, the minimum requirement for adequate password policy. The study also found that 66 percent of sites reviewed don’t require alphanumeric passwords, 51 percent don’t lock accounts after 10 failed login attempts and 43 percent still accept the worst passwords on theWeb, such as “password” and “123456.” Surprisingly, 60 percent of the security websites examined in the study received negative scores. With no immediate solution to the security problem in sight, let’s keep the “qwerty” passwords to a minimum.